When muscles constrict and don’t let go, we call that an involuntary spasm. When a muscle spasms, oxygen and blood flow are decreased to the area and whatever is passing through at the time gets trapped and is referred to as toxins and stagnant lymph and blood. With time, the spasms typically increase in intensity and becomes more and more painful. In a traditional massage, the therapist is applying pressure to soften up the tissue and squeeze the stagnant toxins out of the muscles forcing new oxygen and blood to return to the muscle. You do not see the toxins in a massage, because they are dumped into your system for the lymphatic system to filter. 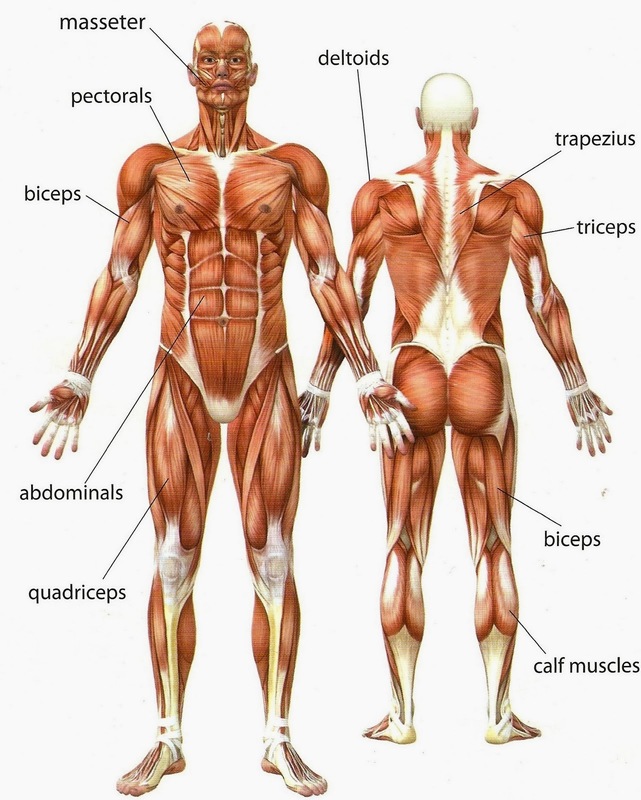 Sometimes this process will make the muscles sore like you have done an extensive workout. Cupping does the opposite. The suction creates a vacuum which pulls the tissues apart allowing the stagnation to be pulled out. Now, because of the suction, sometimes a good bit of this stagnation will pull up to just under the skin leaving a discoloration where you can see it. Some people mistake this for a bruise, but if you ask anyone that has had cupping done, or is trained in cupping therapy, they will tell you, it doesn’t feel like a bruise at all. Why? Because it is NOT a bruise. 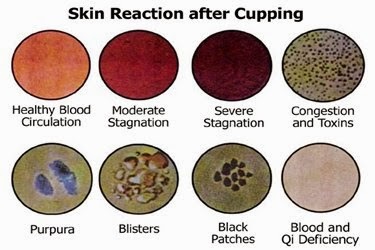 With Cupping, you have not broken any veins or capillaries causing blood to seep into the tissue. 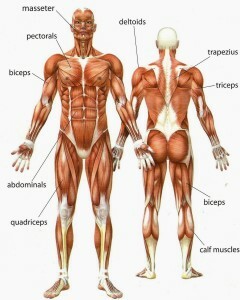 You have taken old blood and toxins that were trapped in the muscle and in the tissues and pulled them to the surface. You can tell a lot about what’s been going on by the color and consistency of the discoloration. In Cupping, we call this “THE CUP KISS”. Shoulder Pain: Squeeze the cups to create a suction and place the cups around the painful areas on your shoulder. For Massage Cupping only leave the cups in place for 1-3 minutes. You can also apply oil or lotion and slide the clear body cup around the shoulder joint. I prefer to use body wash or soap in the shower and glide the cup around the affected area while in the shower. The moist heat from the shower assists. If following Traditional Chinese Medicine, then cups can be left up to 10-15 minutes. The cup pictured above has stronger suction and may not be able to glide. Knee Pain: Place the cups around the painful areas on your knee. For Massage Cupping only leave the cups in place for 1-3 minutes. You can also apply oil or lotion and slide the cup around the shoulder joint. I prefer to use body wash or soap in the shower and glide the cup around the affected area while in the shower. The moist heat from the shower assistsIf following Traditional Chinese Medicine, then cups can be left up to 10-15 minutes. ELBOW PAIN: Place the cups around the painful areas on your elbow. 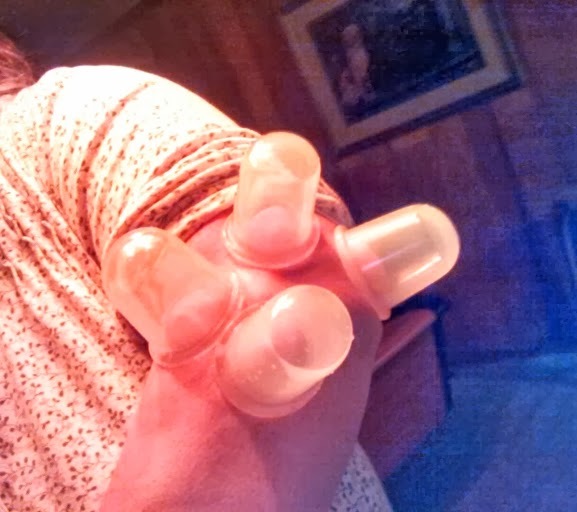 For Massage Cupping only leave the cups in place for 1-3 minutes. You can also apply oil or lotion and slide the cup around the shoulder joint. I prefer to use body wash or soap in the shower and glide the cup around the affected area while in the shower. The moist heat from the shower assistsIf following Traditional Chinese Medicine, then cups can be left up to 10-15 minutes. When the muscles around your neck and shoulders tighten, it reduces the amount of oxygen and blood flow to those muscles and the areas around it and can cause terrible headaches. As the brain receives less blood flow, it will try to compensate by dilating the arteries which causes the throbbing feeling. Use the facial or small body cups around the back of your neck and shoulders. Never in the front due to restricting the blood flow of the arteries. Place the cups along the back of your neck and shoulders and leave in place for 10-15 minutes. This should open the capillaries and allow fresh oxygen and blood into the areas therefore allowing the brain to return to normal function. You can also place oil or lotion on your neck and shoulders, squeeze the cup to create a suction and after placing the cup on the skin with the vacume, begin gliding the cup along the neck and shoulders. Squeeze the silicone suction cups and attach the silicone suction cups on the target areas for ultimate neck pain relief. According to the neck cupping positions above, use the silicone cups up to 15 minutes / target area, 1~2 times daily, 10 days / area. (After 10 days, give the area a rest of at least 1-2 days). It is possible, though extremely rare, that sometimes blisters may appear on the skin where the cup has been attached. It is more common to see reddening appear, which will fade gradually. and along the length of the muscle. Again, this works best while in the shower with using soap or body wash due to the moist heat from the shower.